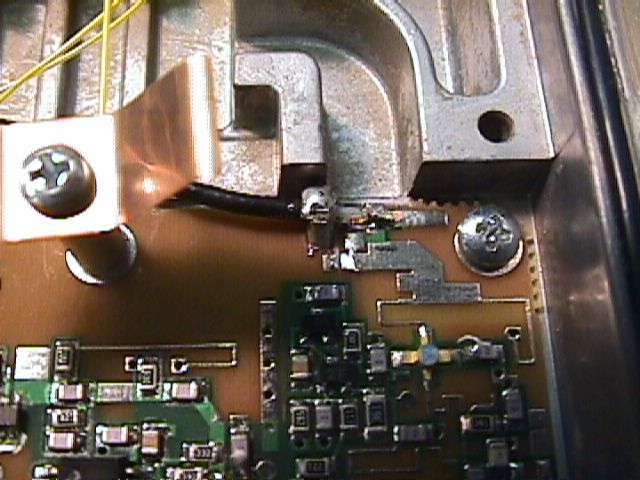 The 2.4 GHz receive downconverter hooked to an AOR-8000 scanner. 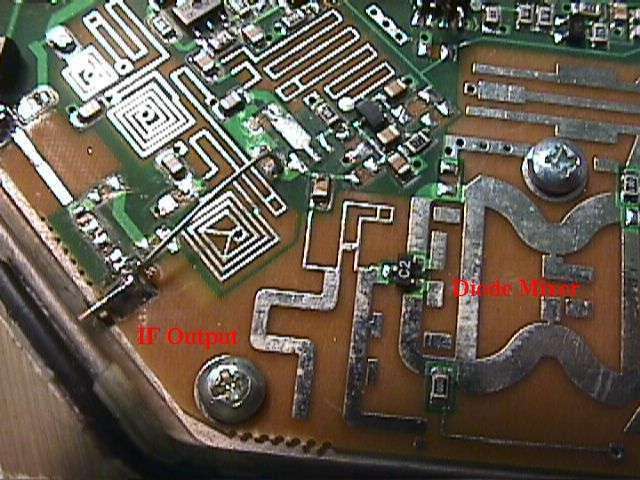 The converter is a slightly modified high-gain MMDS downconverter. 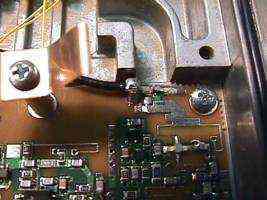 The sharp bandpass filter on the RF input was removed, and on the IF output, the amplifiers and filter were removed. What all this does is to allow incoming signals (2.402 - 2.483 GHz) to be mixed with a local oscillator frequency of 2.278 GHz and converted to a much lower VHF frequency. Example, a 2.45 GHz signal will be output as a 172 MHz signal (2450 - 2278 = 172). This allows us to quickly verify the integrity of the 2.4 GHz ISM band using a conventional communications receiver (scanner) to step through 124 - 205 MHz. 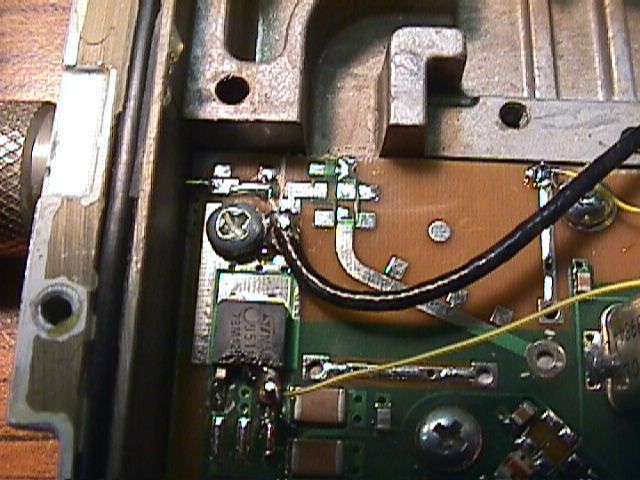 Internal view showing the bandpass filter removed (top section), the RF input is on the right and is jumpered to the pre-amplifier on the left side. 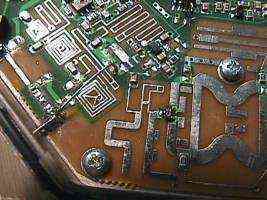 IF output tapped after the series capacitor, right after the diode mixer. There is no need for IF amplifiers or filtering if hooked to a communications receiver. 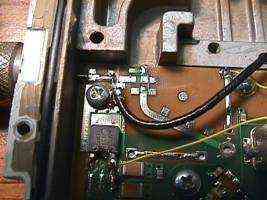 2.4 GHz RF input to the GaAsFET LNA. 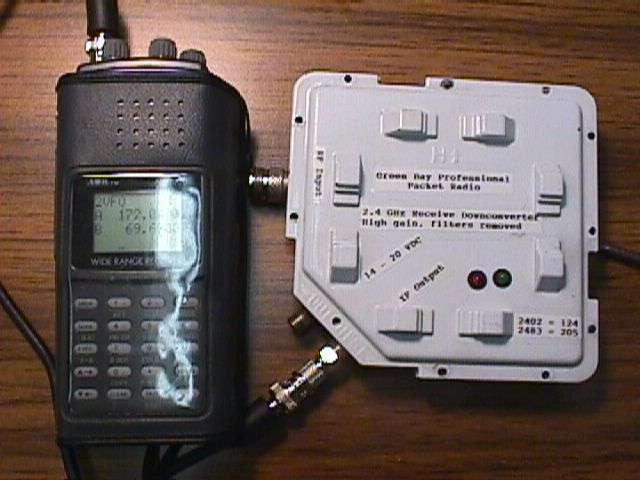 2.4 GHz RF input to the case.